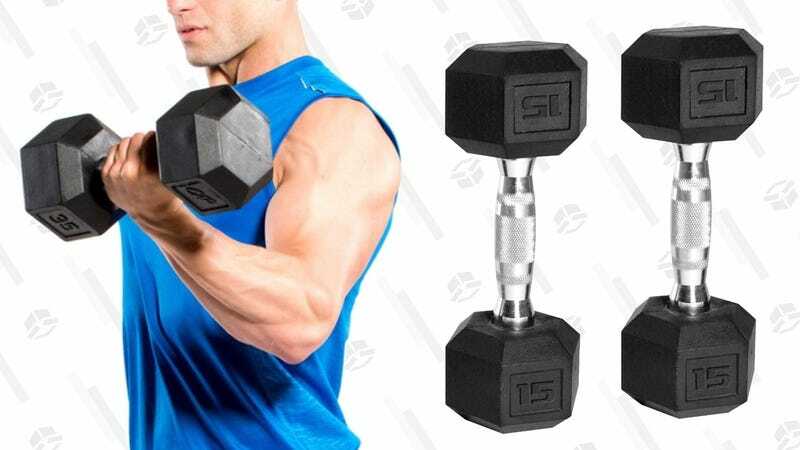 While not as versatile as top-selling adjustable dumbbells, if you just need one or two sets of weights, Walmart’s discounting CAP Barbell rubber dumbbell pairs, ranging from $9-$101. Obviously, the price goes up as the weight increases, so just select your desired weight on the product page. Orders over $35 ship for free, or you can pick them up yourself (bring a cart for the heavy ones!) from your local Walmart.